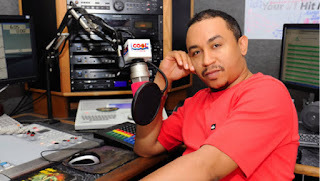 On Air Personality (OAP) Ifedayo Olarinde popularly known as Daddy Freeze, has blasted the General Superintendent of the Deeper Christian Life Ministry, Pastor Williams Kumuyi, for saying it was an abomination unto God for women to put on trousers. This came after Kumuyi, preached on the topic: “The Inner and Outward Beauty of Kingdom Citizens,” where he said the Bible specifically warned that men should not put on women’s wear neither should women put on men’s wears. Meanwhile, Daddy Freeze while reacting stressed that Kumuyi was totally wrong on this and went on to explain his views on the matter on his social media handles. “Not wearing male or female clothes is Jewish tradition, they have been abolished in the New Testament, there is no need for women to have separate clothing, no need for all these junks. Each time you try to keep Deuteronomy, you are cutting yourself off from Christ.